Brown baggin’ it at work today? You need a taste from some of these cool coolers. Here’s a collection of nifty lunch bags to add some swag to your workday. A fun lunch tote for a double-take and a quick laugh from your co-workers. 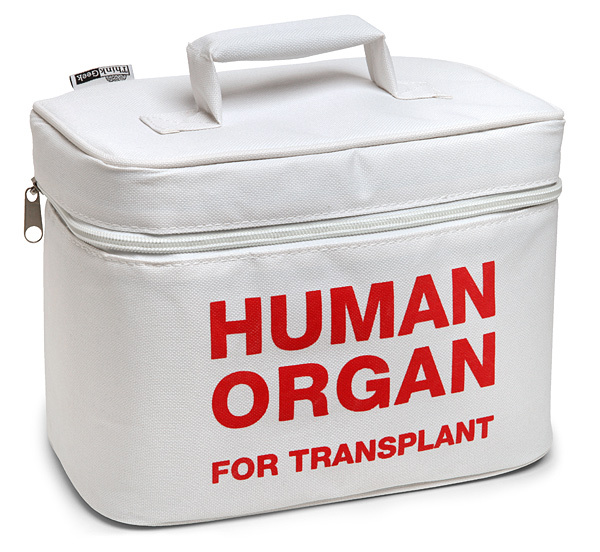 Looks just like a medical cooler for organ transplant. 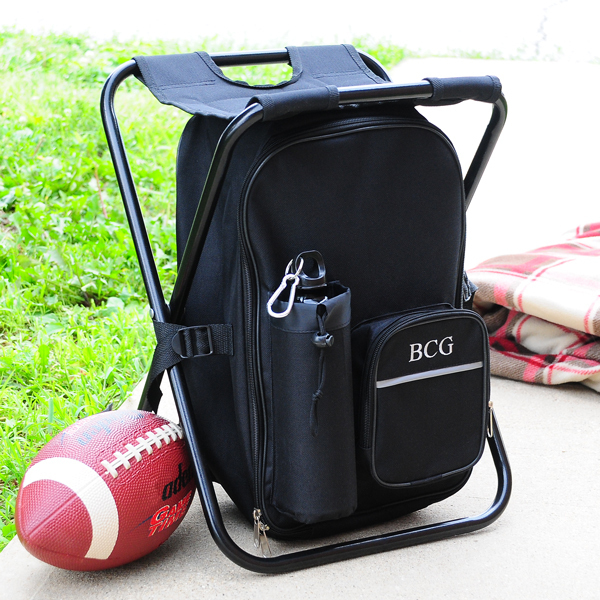 Start a tailgate party at work with your combination backpack / cooler / chair. As a bonus, this makes our “cool coolers” collection because of it’s personalized embroidery of your initials. A great multi-purpose gift for a sports fan. You’ll probably be able to find a cooler or lunch bag for any and every professional or college sports team. 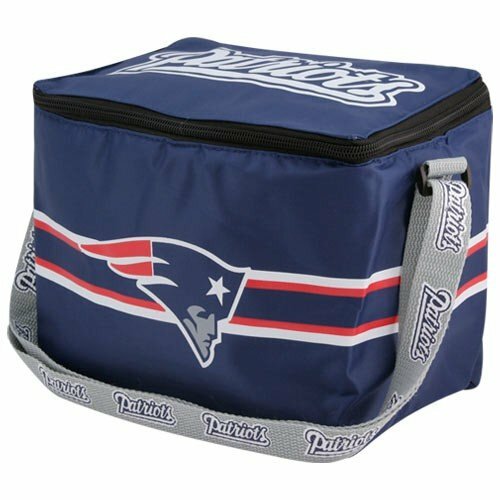 For the sports fan who already has the jersey, the sports cards, the posters, and NFL Ticket, why not get a team cooler? This picnic bag is worth displaying in all its swag and splendor. Syle meets utility with a trendy blue look combined with classic picnic stripes and all the accessories you need to pull off a lunch for four in the park or on the beach. 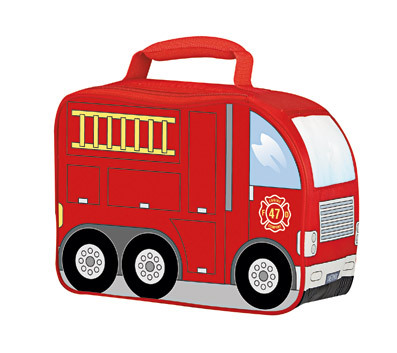 The firetruck-shaped lunch bag is adorably cute, bright red, and perfect for your kid – or for the kid in you! 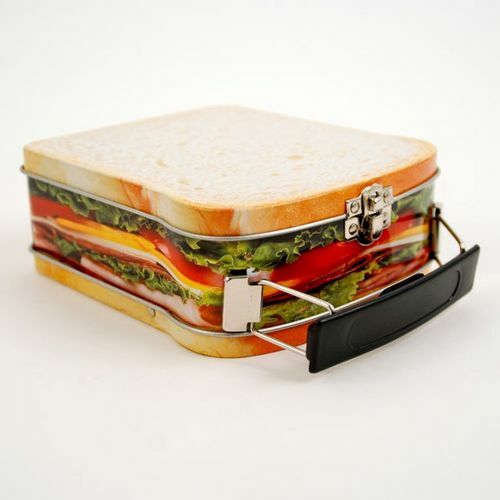 A well-crafted sandwich is a thing of beauty, and this sandwich tin lunch tote is no exception. You’ll have mouths watering long before lunch break when you bring your BLT to work with this sweet tin. 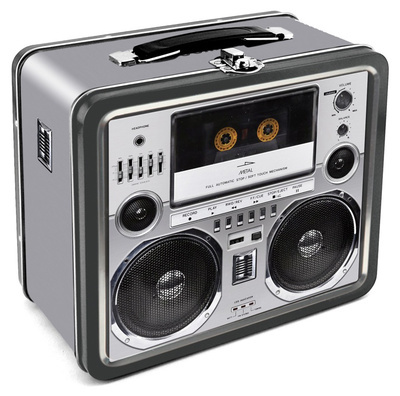 Rock the cassette deck with your delicious, swag-a-licious lunch packed away in this boombox lunchbox. Rock on! Vintage utility and classic style finish out our list of cool coolers. This vintage lunch box has infinitely understated swag. 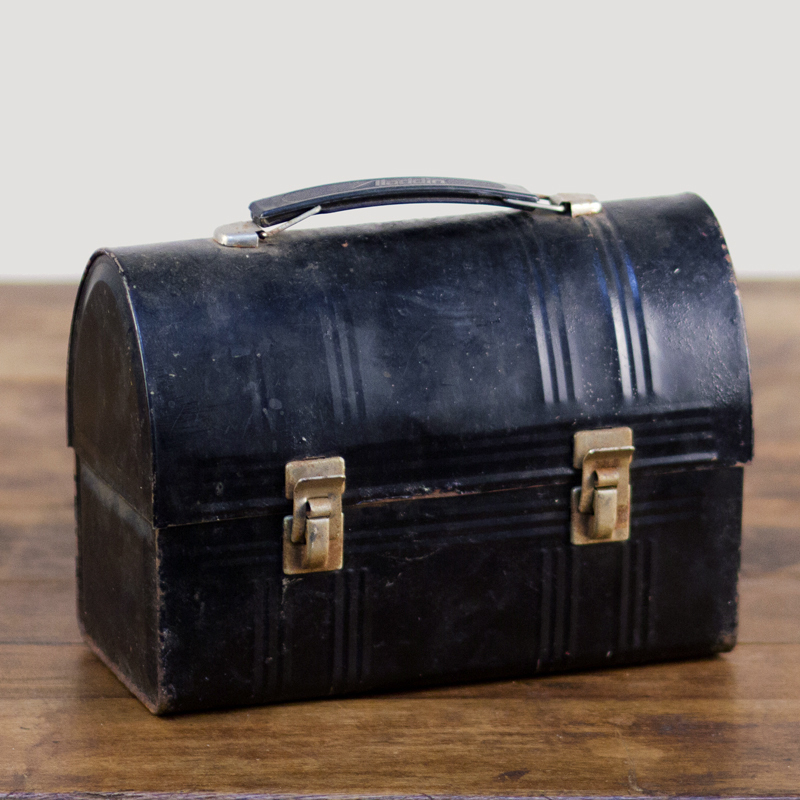 Utterly sure of its place in history, this old-fashioned lunch box will confidently tote your meals into retirement and beyond.